Values are among the most stable and enduring characteristics of people. They are the foundation on which attitudes and personal preferences are formed. Our core values are crucial in making vital decisions, determining life directions, and behaving in social interactions. Values help define our morality and our conceptions of what is “good” and what is “right.” Many of our behaviors are a product of the basic values we have developed throughout our lives. However, a problem with values is that they are generally taken for granted. Most of the time people are unaware of their values and how they shape attitudes and behaviors. Unless a person’s value’s are challenged they will remain largely undetected. People are not aware that they hold some values as being more important than others. This unawareness leads to actions or behaviors that are sometimes contrary to values, or even leads to confusion about values. Step 1 Each team member is to think through the values (Relationship Oriented and Results Oriented) and identify circle the sixteen (8 Relationship / 8 Results) most important values—for you as a member of this team. Be sure to carefully think through just what the value is and why it’s important to you. Step 2 Fill in the brackets with your eight (8) Relationship Oriented values on the left side and eight (8) Results Oriented values on the right side. Do this exercise individually. Step 3 Pitting value vs. value tournament style. After placing all sixteen values in the brackets, determine a winner and move the winning values along toward the middle of the chart. Step 4 Once you’ve completed your Championship Values tournament you’ll have identified your top four values (2 Relationship / 2 Results). Be sure that you’ve thought through the value of each value! Step 5 Now split your team into triads (groups of three) and discuss the values. As a triad come to an agreement on 16 values and fill out the brackets. 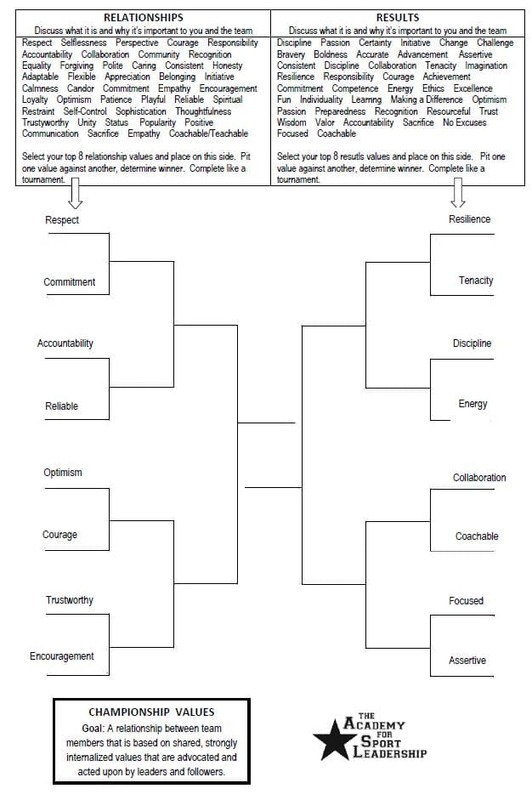 This should take some time as you and your teammates will need to work through personal differences to reach shared values. Step 6 Once you’ve got the 16 shared values begin your tournament. At each stage engage in meaningful conversation to identify a winning value. Step 7 Once you’ve completed your Championship Values tournament as a triad, begin the same process as a team. 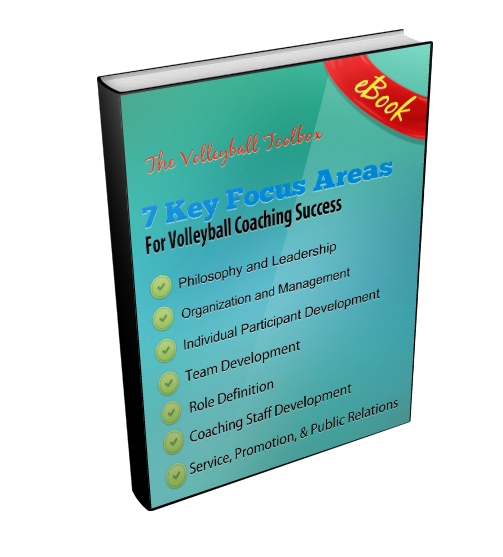 When you finish your tournament you will have identified four (the final four values) values that will be strongly internalized, advocated, and acted upon by all team members. The discussion should reveal values a clear-cut set of values for you and your teammates—standards of behavior towards one another and individual and team performance. Step 8 Do the Championship Values exercise as a complete team. Your goal is a relationship between team members based on shared, strongly internalized values that are advocated and acted upon by all team members.